A few months ago I was also at crossroads; I had recently started working at well known consulting firms (not big fours, then I would have never left). I had MHCET percentile of 99.78 so had a chance of getting SIMSREE as well. And I had DoMS IIT Madras. I was not interested at all to go to Baby IIMs or some of the new IIMs that I had converted (My CAT score was 98.8). Honestly, I just took a leap of faith and went for DoMS. But I have not regretted my decision of getting into IIT M.
Best part while most would say is a beautiful and green sprawling campus of IITM, I beg to differ. For me, the best part is the professors in our department. I have so far completed thirteen courses here and haven’t met a professor who is unprepared. You can throw them any question and you will get an answer. 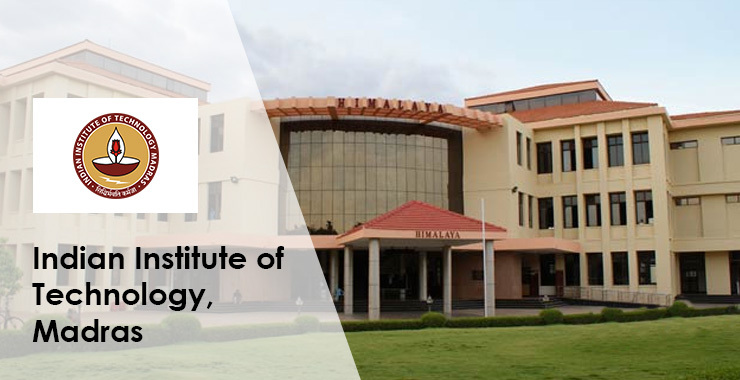 We have got professors who can teach literally any subject of the entire curriculum, who is currently on board of directors of IIM Trichy. And we have a professor who has thousands of paper citations and he is considered among the top ten authorities of Operations management in the world. We have a professor (not guest) from freaking “MIT”. Most of our professors either run a startup or mentor a few. And all of them are deep in the research with around 150 PhDs and 30 something MS students. I have seen them leaving the department at 3 in the morning. That reminds me our department is open 24 Hours including the labs. The quarter system (*2 quarters each with 7 subjects = 1 semester) here is quite exhausting, then again it’s an MBA program. For every course the professor is everything. He can choose how he would like to grade when he would like to grade, and what not. Some can even choose not to take the exam at all. But believe me, if you were to come here you should pray for the exam. Being in IIT, courses related to Operations and Analytics are our best courses. And analytics is getting traction these days. Yet we have equally good Finance and Marketing subjects. It gets even better because we are allowed to take electives from any department of IIT. So I guess the choice of electives in terms of number is unparalleled. Other perks of being in IIT are innumerable from all night canteens, no time restrictions. There is not a thing you can not get on the campus. We got more than 15 places to eat. The environment on campus is such that we have dozens of startups soon to get big and you can work with them easily (I am working with two such and learning a lot). Also, There are more than Hundred of them in IITM Research park (shown below), a huge incubation center fully funded by IIT. We got Deers and monkeys to play around. We can pursue dozens of leisure time courses related to Music, Arts, Photography, Dancing, Yoga or even Martial arts! Every sports facility is heard, some of them you might not have even heard of. We are bombarded with guest lectures around the year. You can watch the latest movies on the big screen every Saturday in the Open Air Theater for just 30 bucks. There are clubs for everything, literally. Last but not least, the green campus, you can never get tired of it. You might think despite being this good why isn’t our department in the top ranks of most lists? That’s because for some unknown reason the department management decided not to participate in the MBA ranking surveys. But as IIT, we are second only to IISC for being the best university since past three years. In my opinion, DoMS is certainly at par with Most of the new IIMs and can be counted among top 20s in India. Now to talk about placements, the reason most of you would have been scrolling down for! Placements at DoMS are good (not jaw-dropping good as big names, but good enough! ), especially final placements. Big recruiters such as RBS, McKinsey, Accenture-Analytics, Cisco have been coming every year. And batch size is usually around 60. So everyone gets into placement. If not we can always turn to the Institute level placement committee. So we actually have two channels of getting placed. So if you are thinking of joining the MBA program of IIT Madras, go ahead and make that decision. An MBA student of Department of Management studies at IIT, Madras.